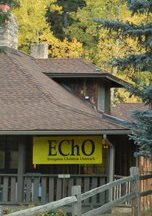 The Evergreen Christian Outreach was established in 1986 as a 501-c3 charity with an amazing purpose in mind, to provide assistance to residents of the Evergreen mountain communities who are unemployed, under-employed, dealing with a long term illness, or experiencing other forms of person crisis. This amazing charity started by Father Bob Bryan Church of the Transfiguration was actually thought of in 1985 when Father Bob Bryan Started an emergency food and clothing closet in the church. At first, Evergreen Christian Outreach served just a few families a week but after several years of growth and constant efforts by Evergreen Christian Outreach and all personnel involved, the Evergreen Christian Outreach was serving an average of over 300 families each quarter. As a matter of fact, throughout the years, more than 2500 different individual family units have been served. On behalf of Cars Helping Charities, Evergreen Christian Outreach and all who will be helped as a result of your donation, we would like to say thank you in advance for choosing to donate your car to such an amazing charity!